After graduating, Lucy moved to Italy where she worked with the world-famous events florists Tuscany Flowers and Munaretto, in both Florence and Venice. 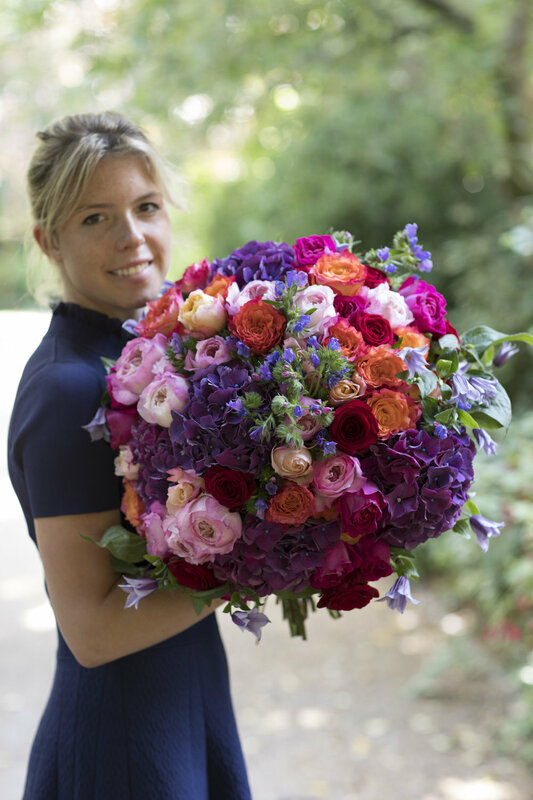 Studying with leading masters of floristry was an invaluable and unparalleled experience that has shaped the florist that Lucy herself has become. Lucy's personal floral design has developed into an enchanting and creative art form, combining her own theatrical flair and unique vision with all that she has learned from the world's leading romantic style florists. After spending just under 2 years in Italy, she returned to the UK and moved to London, where she started working London's leading florists. Lucy and her team have worked with some of the top brands and venues in London and further afield, such as Banqueting house, One Marylebone, Mansion House, Whitehall Place and Claridges. Lucy's work is renowned for being fresh and visionary, as well as for its bold use of colour. Lucy will work with you to help turn your dreams into tangible reality, whether it is your wedding, birthday, anniversary or a corporate event. For her, a space is a blank canvas waiting to be transformed into another world. She invites you to join her on an original creative journey where you will collaborate to create something magical and memorable.